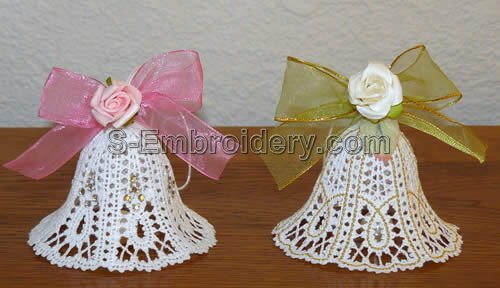 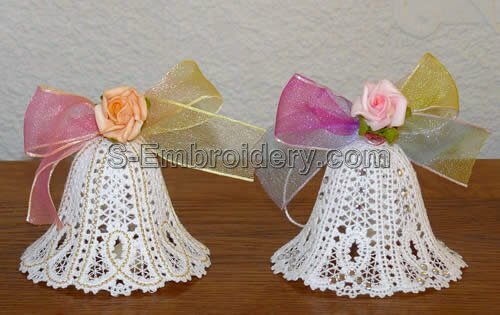 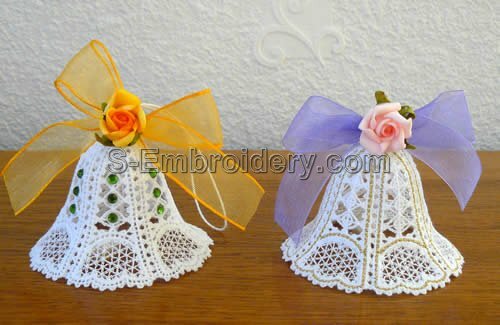 A set of 5 Battenberg lace Christmas bells machine embroidery designs. 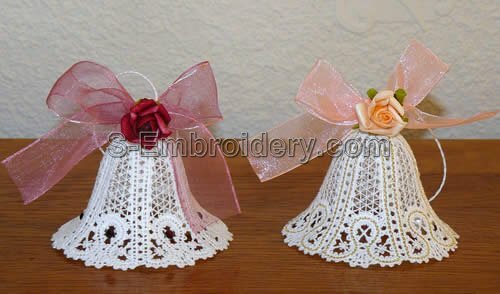 Each design is available in 2 variants - one with and one without a golden outline. 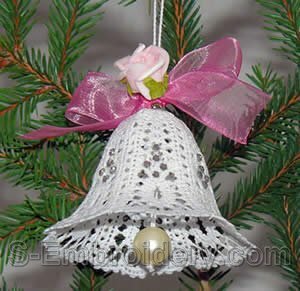 The finished Christmas bells are around 2 inches (5 cm) high. 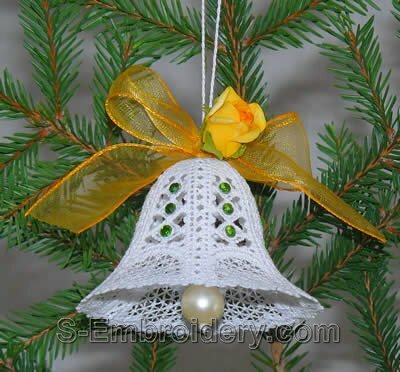 Use them to create beautiful ornaments for your Christmas tree. 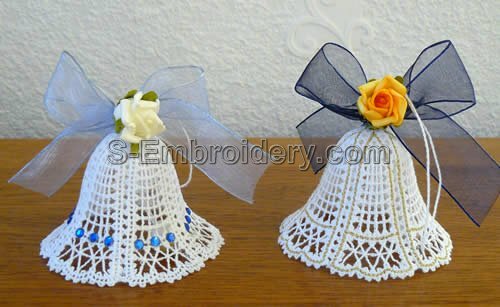 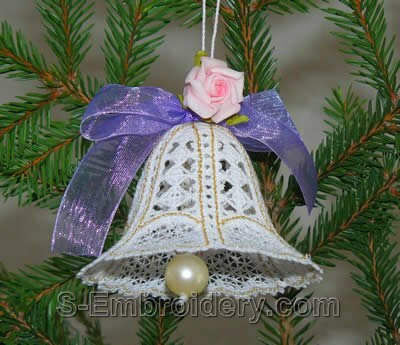 You receive 2 PDF files with design information and instructions for creating the bell ornaments and 10 machine embroidery files.